Because of identity theft and privacy concerns, many businesses ask for only the last four digits of our Social Security numbers. There seems to be an assumption that only four digits of a nine-digit-number shouldn’t be a concern. The obvious answer is, about 9,999 times easier than if they didn’t know the last four. In fact it’s even easier than that. Your Social Security number is not a random set of digits. The last four numbers are created sequentially. They have no other relation to you. The rest of your Social Security number, however, is determined by where you requested it; usually, this is where you were born. There is a sense in which this entire discussion is irrelevant: because the last four numbers of your SSN are what businesses ask for, they are all that a criminal sometimes needs to use your cash or credit. The first three digits of your Social Security number are an “area number”. If someone can determine what area the person applied for the SSN in, they can determine the first three digits; it is currently based on zip code. There are currently no more than 772 area codes. You can check the state ranges against your SSN at the Social Security Number Allocations page on the Social Security Administration web site. The middle two digits are the “group number”. This is probably more difficult to determine, but they are distributed in a pattern. In any case there are only 99 of them, usually less. For any specific area code, the Social Security Administration publishes the highest group number used. There are also some other Social Security numbers that have been invalidated. For example, if the last four digits are 1120, identity thieves know at least one area code/group number combination that it is not. When you give out the last four digits of your Social Security number, you are giving out what is probably the least-easily determined part of it. Once a criminal has the last four, if they truly want your identity (as opposed to just anybody’s identity), they ought to be able to bring down the total possibilities to no more than several hundred. Giving out the last four digits of your Social Security number makes your entire number a lot more vulnerable. Armed with a computer and an on-line authorization site that doesn’t care if an SSN is checked every day, they probably won’t have any problem finding the rest. Your only hope is that they won’t want to. July 27, 2016: Are insecurity questions designed to help hackers? I’m not sure exactly why this reminds me of The Rockford Files. Probably it’s the episode where Rockford discovers an insurance fraud scheme based on birth certificates not being linked to death certificates. Researchers Alessandro Acquisti and Ralph Grossy… accessed the Social Security Administration’s Death Master File, a publicly-available (at a price) record of Americans who have died, including their SSN, birth and death dates. The third piece of information they needed was the date and location of birth of test subjects. They found these details readily available for purchase from information brokers, or even divulged for free by users of Facebook and other social networking sites. Since 1988, babies have been automatically assigned Social Security numbers at the time of birth. So, suppose you were born September 21, 1989 at 10:11 a.m. in Springfield, Mass. If there was a Death Master File entry on someone born in the same location as you on the same date, given that the numbers are assigned sequentially, it would narrow down what number you were assigned to one very close to the deceased. While the researchers couldn’t usually determine the exact numbers of their subjects, they were able to eliminate enough that a hacker would have only 9 or 99 or 999 possible combinations to try, a problem easily solved with a brute-force attack. As the authors of the study say, “If one can successfully identify all nine digits of a SSN in fewer than 10, 100 or even 1,000 attempts, that Social Security number is no more secure than a three-digit PIN.” In fact, your high-school locker was probably more secure than your Social Security number. This trick appears to work for people born between 1988 and 2011, as, before that, social security numbers had to be requested—they weren’t automatic at birth. The more the state makes things more convenient for the state, the more they make the same thing more convenient for criminals. 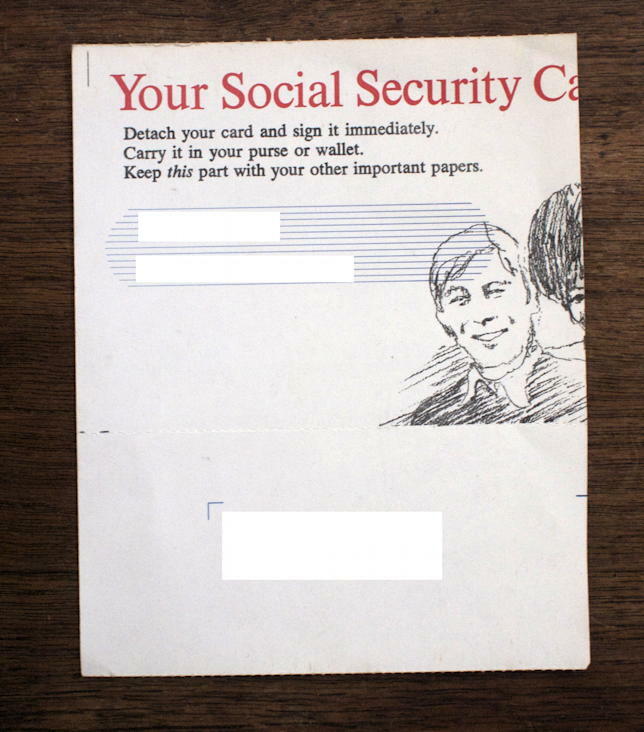 I still have my original social security paperwork that tells me to carry my card with me. Despite the admonition not to use it as an identity card, why, you never know when you might need to show it. And if you lose it, it’s no big deal, just go down to the social security office to get a new one. Or your private information. Since the last four digits of your SSN are used as a de facto password, they’re all hackers need to get access to your accounts. Increasingly, it’s the last four digits of your credit card that’s becoming your password, as Mat Honan discovered recently. Amazon didn’t treat the last four digits of the credit card as securely as they should have. Hey, why should they, it’s only the last four digits, right? It didn’t help that Amazon, like Apple, makes it far too easy for strangers to add things like credit cards and emails to your account. A hacker got his last four credit card digits, and then went to Apple to reset Honan’s iCloud password. Insecurity questions need to be able to be turned off. The likelihood that they’ll be used for hacking attempts needs to be taken much more seriously. Otherwise, passwords are easily bypassed. And when the insecurity questions themselves can be bypassed for the even less secure billing address and last four of credit card or SSN, that’s insane. At that point there really is no purpose to passwords. There’s only a few short steps between making a statistical prediction about a person’s SSN and verifying their actual number, Acquisti said. Through a process called “tumbling,” hackers can exploit instant online credit approval services—or even the Social Security Administration’s own verification database—to test multiple numbers until they find the right one. And that was without having the last four digits. Social Security Numbers should never have been used as a combination username and password. 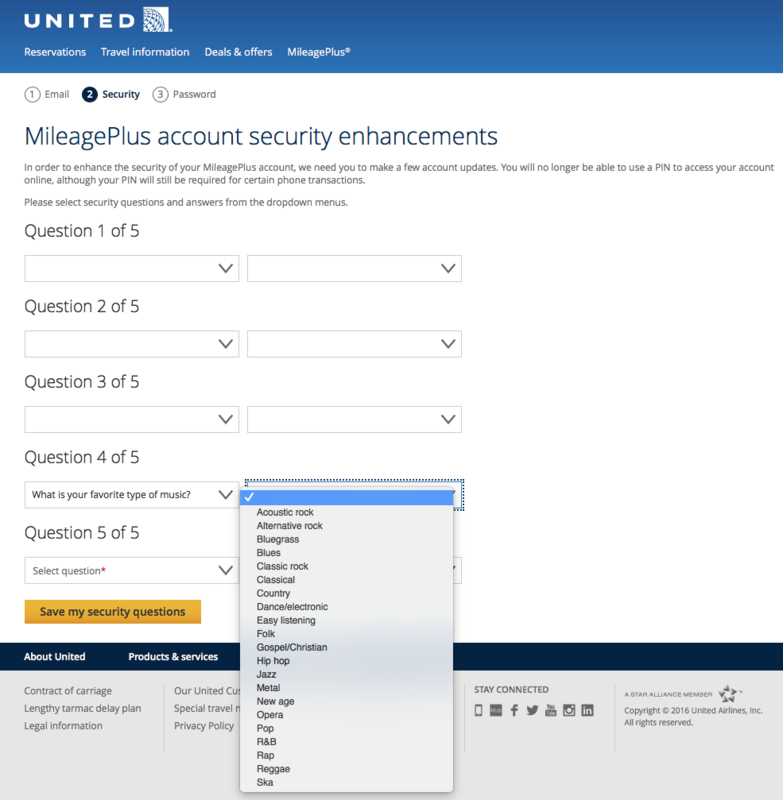 When validating form input, you often will use an array of valid responses. Watch out if some of those valid responses are integers! The last four digits of your social security number last modified July 22nd, 2016.